A weekly antenatal class for expectant mums to help you enjoy pregnancy, stay mobile, learn about your changing baby and body and prepare for a confident birth. When it comes to the early (or in fact any) stage of pregnancy, any number of emotions can overwhelm us: excitement, fear, anxiety, delight, uncertainty, confusion – and these may well be ever changing! 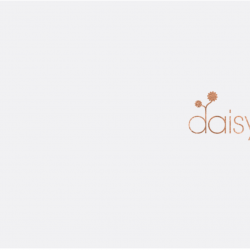 Daisy Birthing helps expectant mums enjoy a positive pregnancy and prepare for a confident birth. The first step of your continuous perinatal support takes the best elements of pregnancy yoga, active birth and hypnobirthing and wraps all of these together in a powerful class that allows you the confidence that comes from realising you can do this. Classes are booked in blocks of 6 weeks at a time but are designed to carry you through from early pregnancy right up until your baby’s birthing day. Each class is 1-hour 30 mins long and costs £72 for the 6 weeks. Your class is held on a Tuesday evening at 7pm at the venue detailed below throughout the year with new participants joining us at the beginning of each 6-week block. On the calendar you can see all the start dates avaliable by clicking through the months (each date avaiable to join is seen highlighted). I look forward to welcoming you to your Daisy Birthing class.